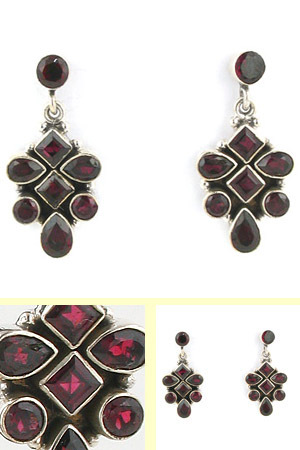 Garnet stud and droplet earrings in sterling silver. 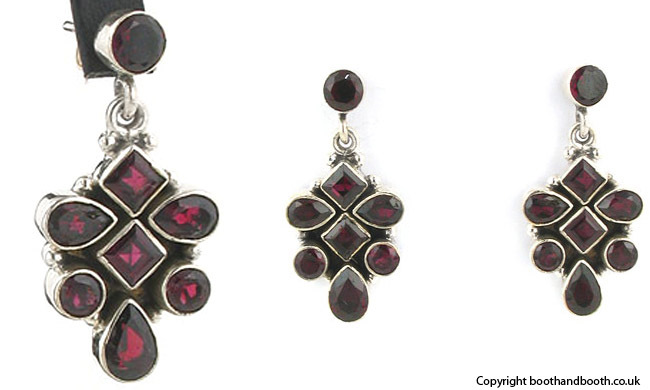 These garnet earrings with glowing red garnets are fabulous to wear. 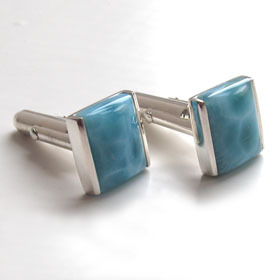 They fasten in your ear with a post and butterfly behind the round garnet stud. 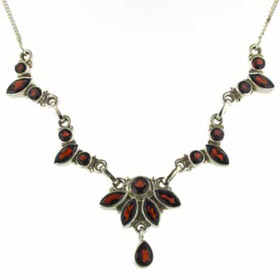 The droplet is substantial and geometric in style with a nod to Art Deco. 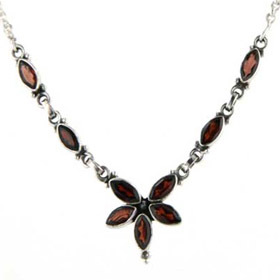 See our garnet necklaces, garnet pendants, garnet rings and garnet bracelets to make a garnet jewellery set.